Mouse Macro Recorder is an easy-to-use Mouse And Keyboard Macro Recorder,Editor and Repeater tool.It can be used to automatic record mouse movements, mouse clicks, keystroke actions and then repeat the macro at any time and as many times as you want. Mouse Macro Recorder also can set start and stop hotkey. And it can set repeat speed and interval between two repeats. 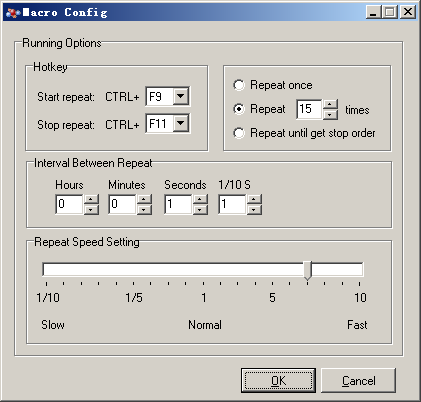 Mouse Macro Recorder also can set repeat schedule. 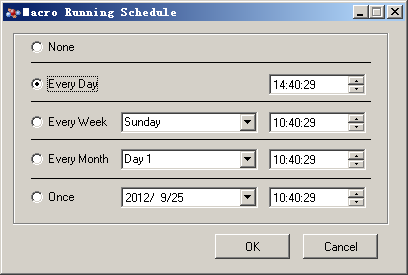 You can set auto run the script every day,every week, every month or someday as you wish. Auto-run Schedule: You can set each script a schedule to auto run at every day, every week, every month or sometime you wish. 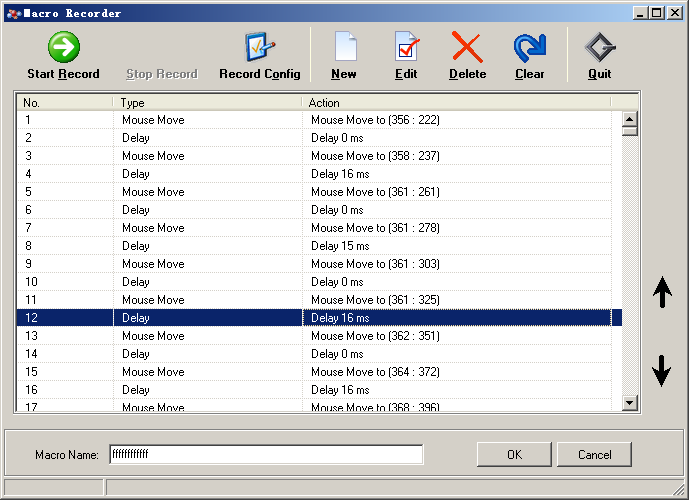 Mouse Recorder: Automatic record mouse move, mouse left/right/middle button down, mouse left/right/middle button up, mouse single click,mouse double click. Any mouse activities can be recorded. Keyboard Recorder: Automatic record key Down,key up,key press,any keyboard action activities. Macro Editor: You can modify an existing macro script recorded before or create a new one from a blank. Macro Player: It can replay the macro at normal speed or even 10 or 1/10 times speed,and it can replay it many times as you want. Picture Clicker: Find a picture on the screen and click it. The picture must be loaded as a 24 bit BMP before. Auto Text Typer: Type text or input sentence automatically whit hotkey.Help You to Stop Typing The Same Words Again and Again. 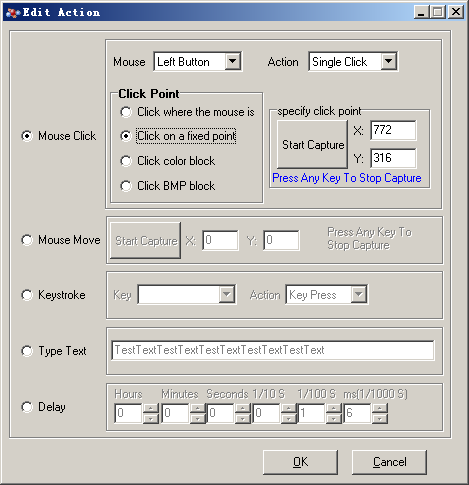 Click here to see how to record mouse and keyboard actions automatically.